Our love of the Labrador Retriever began in 1996 when we saw a photo a litter of labrador retriever puppies on the bulletin board at our local feed store, San Dimas Grain. Our compassionate son chose the runt of the litter, a chocolate puppy, and named him Scout. This labrador, Windy River Scout CGC RN, taught us so much and shared our hearts for nearly 16 years. Coincidentally, the owner of San Dimas Grain at that time developed the original Canidae dog food formula and Scout was one of the test dogs for that product. He did very well on that food and lived a long and healthy life. In 2014 we welcomed the first Journeyman ladies, Vivie and Paige. We are grateful to Meg Newton (Nani-Loa) and Karen Turner (Amythyst) for giving us the opportunity to begin a new adventure with these pretty girls. Cookie and Jeannie, littermates from Rycroft Labradors joined us in the fall of 2015. We are excited about our first Hammer daughters, Stella and Dolly, who joined Team Journeyman in early 2016. Our beautiful yellow girl, Ellie, flew all the way from Arkansas to join the Journeyman family in 2016. Our first home bred litter arrived in March 2017. Jeannie whelped four healthy pups followed by a litter of five whelped by Stella six months later. Two of Stella's five pups, Tennyson and Emerson, are now members of the Journeyman Team. We are one big happy family! 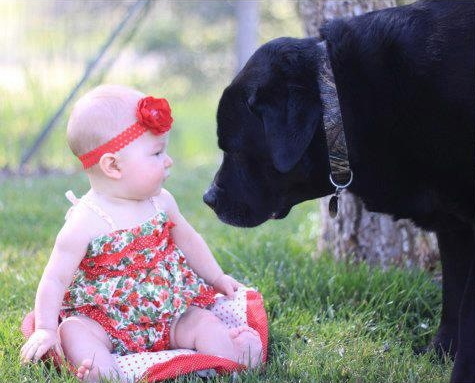 Our love of the Labrador Retriever is a family affair. Jack joined our son and his family in Clovis, California after his show career. He lived the fine life of a country boy passing away just this last year. Joey is the king of the house in Springfield, VA, now owned and loved by our daughter and her family. Woody is now owned and loved by our daughter who lives in Fort Worth, TX. Booker, Hammer and Newman have sired litters in California and beyond and we thoroughly enjoy continued contact with our puppy families, seeing photos and keeping in touch by phone or email. We exhibit our dogs in AKC Conformation and Rally as well as participate in field training and events. We take this hobby seriously but, first and foremost, our dogs are beloved members of our family. Do you want to learn more about Journeyman Labradors, puppies and dogs available, our breeding program, stud service, or about the Labrador Retriever? We would love to hear from you! Website design by Journeyman. All content and photos are property of Journeyman and may NOT be used without permission.